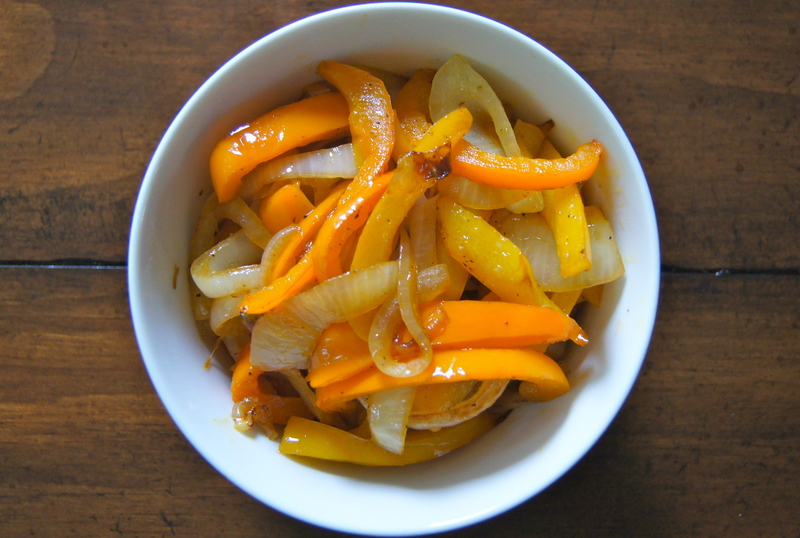 If bell peppers are on sale at the market this is definitely one of the ways I put them to use. Making this ridiculously simple sauté at the beginning of the week and storing it in the refrigerator is something I’ve gotten quite used to as it ends up being a huge time saver throughout the week. You can use this mixture for so many meals: top burgers, brats, salads, grilled sandwiches or use them for tacos, quesadillas, omlettes, pastas, the list could go on and on. 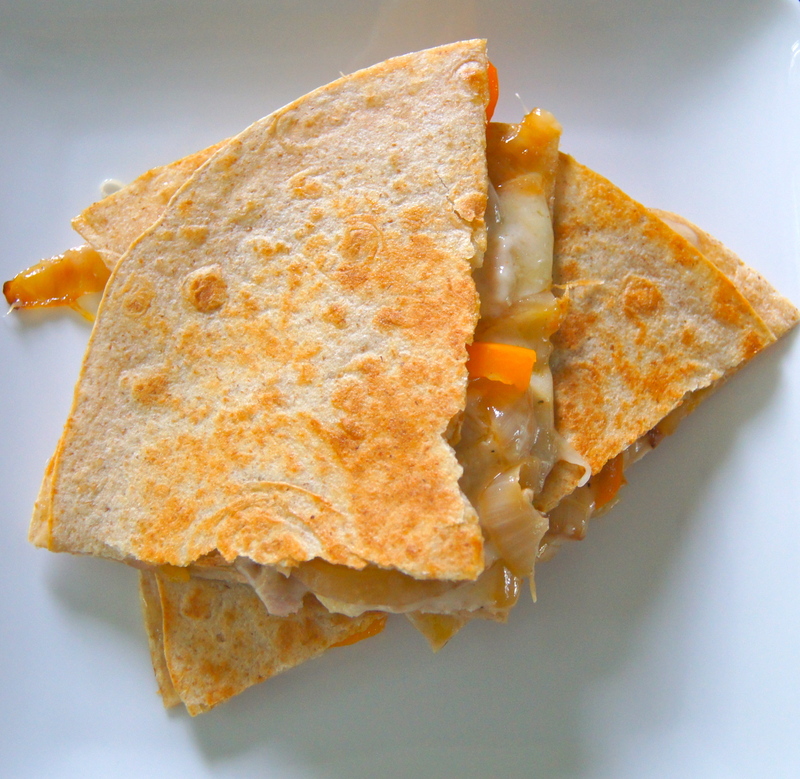 One of my favorite things to do with it is make tuna quesadillas for an unbelievably quick meal: grease a saute pan with olive oil. 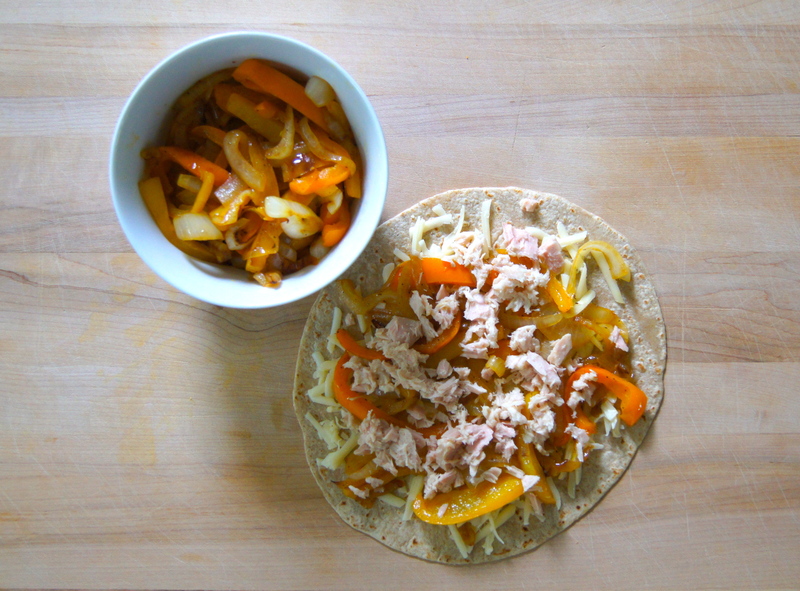 stack shredded cheese, peppers and onions, drained canned tuna and another layer of cheese between two whole grain tortillas. cook for 3 minutes on each side over medium high heat or until a crispy crust forms and inside is melted. Pure gooey deliciousness. Heat olive oil in a large skillet over medium high heat. 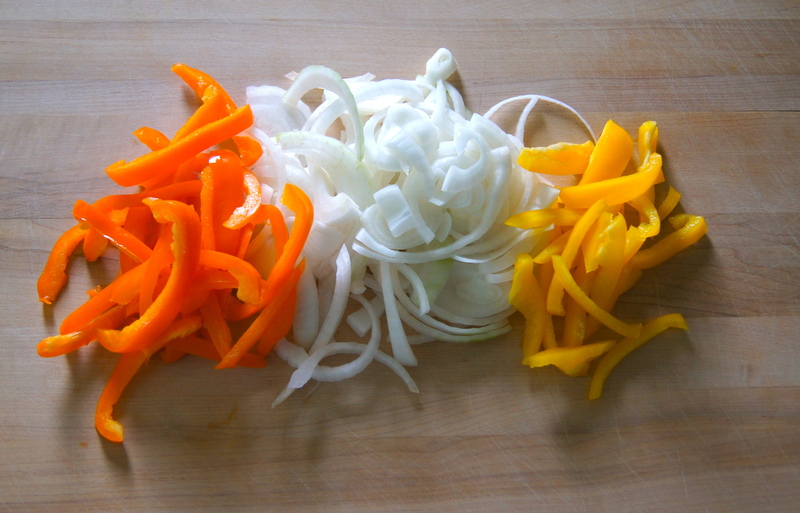 Add peppers and onions and cook for ten minutes, stirring occasionally. Stir in vinegar, turn heat down to medium and cook for an additional three minutes or until the vegetables are cooked to your desired tenderness. Season with salt and pepper.